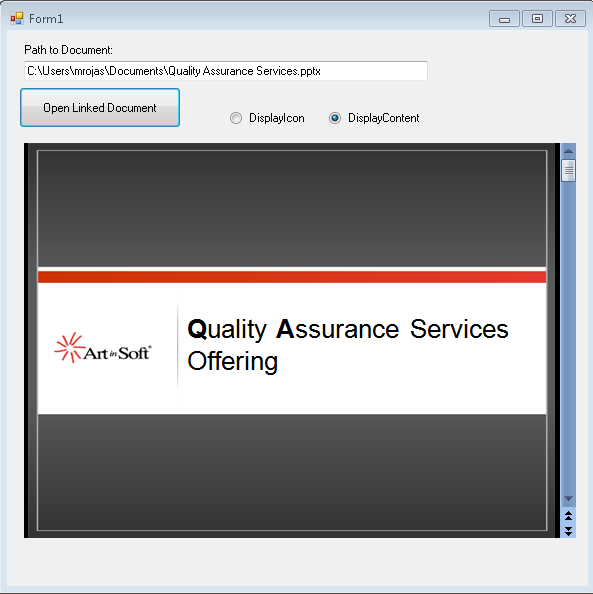 the print setup dialog box or the print dialog box. with your VB6 generated files you must put special attention. Dim str = "TEXTDATA TEXTDATA TEXTDATA"
The difference might seem minimal but it can be hard to detect. DefaultValue for Enum not working. Today I was writting a custom control which had a custom property whose type was an EnumType. I needed the DefaultVAlue attribute so Visual Studio.NET will not serialize the value to the container's code. you are probably wondering that this might be a good time to move out of VB6. But is also a complex time. 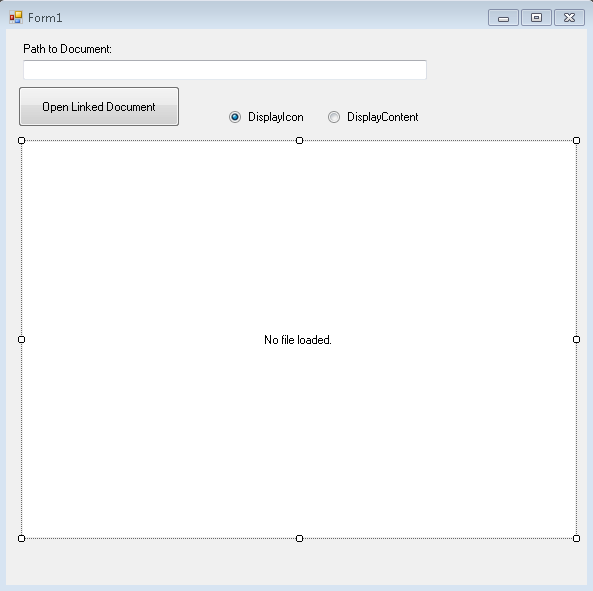 Which is right path: WinForms, Silverlight, WPF, HTML5? Choosing the right target platform can be very tricky and depends on many varaiables. and why not HTML5 as well. but can you develop HTML5 applications with this? Well Brandon Satrom has a nice column in MSDN Magazine about Web Forms with HTML5 Forms. don’t have to wait for the next framework version to use these features today. To get started with HTML5 Forms and ASP.NET Web Forms, you’ll need to grab a couple of updates. First, make sure you have Visual Studio 2010 SP1 (bit.ly/nQzsld). provides some updates that enable you to use the new HTML5 input types on the TextBox server control. Without this update, you’d see compile-time errors when using the new types. You’ll also want to grab the Microsoft .NET Framework 4 Reliability Update 1 (bit.ly/qOG7Ni). and Callbacks—in a blog post from early August that you can check out at bit.ly/qE7jLz. by default STAThread. Using MTAThread causes problems with some ActiveX Controls. "inside a STA thread, the finalizer thread must reenter the STA thread in order to finalize the component. If the STA is blocked and isn't pumping, the finalizer has to wait in line until it does"
This can then cause leaks of components affecting the memory use. "To get around this issue, you have some options (from best to worst), e.g. :"
1) Create your components in an MTA. ... Unless you have an explicit reason to use an STA, you shouldn't. I realize that Visual Studio adds these to some entrypoints automatically for you. 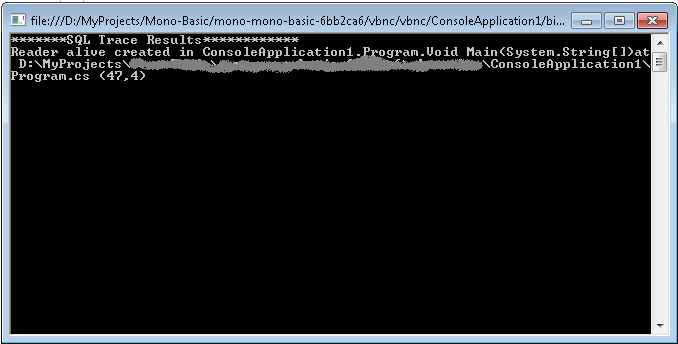 For example, most GUI applications have to start life inside an STA, e.g. WinForms, but Console applications" or services "certainly do not." a C# 'using' statement or call Dispose() on them explicitly when you're done. but realize that this can cause problems if you're not really done using the COM object." "3) Use another form of blocking to prevent the primary thread from exiting." " at http://blogs.msdn.com/cbrumme/archive/2004/02/02/66219.aspx; caution: that's a fairly lengthy post"
don't worry. The SQL Server team has a tool just for that. Good Luck and don't hesitate to contact us for any doubts. Today my friend Allan was asking me if I know of a way to save msbuild output as an XML file. His idea was to be able to process compilation errors without depending on tools like grep / sed. I really had never done that so I ask him to send me a link if he found something. He tested it and he says it works great. So if you ever need something like that take a look at it. In VB.NET if you want to make your interfaces available thru COM and make sure that its parameters are of a certain type you have to use the MarshalAs attribute. For the return type it is a little tricky because it has to be added after the As Keyword. If you used the Graphics32 library for Delphi in the past and you try to use it in delphi xe you will find several compilation errros. In IDL you can have a helpstring attribute that adds descriptions to your interfaces. NOTE: remenber that in some cases you have to apply the description attribute to both get and set. I have developed a very quick replacement for the OLE Container Control that you had in VB6. it might be difficult to change the registry in some vista or Win7 environments. The following picture show the OLEContainer inside a Windows Form. You can call the CreateLink and you can also use the DoVerb Open. I have attached the example source code in this post. NOTE: Another approach, embed the application in your windows form. 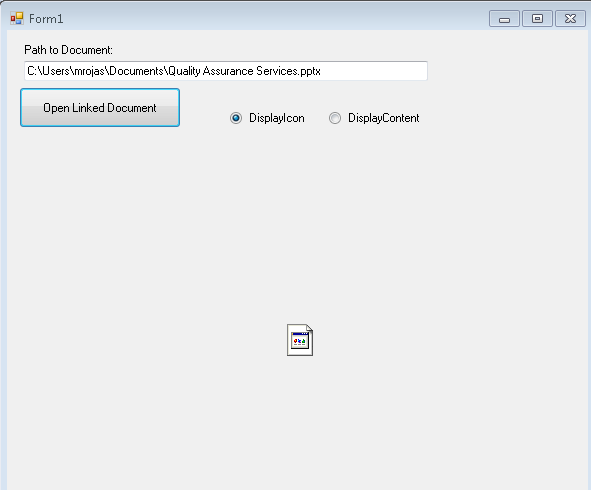 related to the migration of Point Of Sale applications developed in VB6. of similar issues specially when dealing with POS devices. by providing the COM and .NET implementations. has the UPOS grown to interesting proposals like WS-POS. consume WS-POS services to provide for example tablet-based implementations. kind of experience that our migration solution brings to the table. Technology Standards (ARTS) web site. implementation so it can receive and respond JSON and work with your HTML5 implementations. I always appreciate feedback, so if you have any more toughts or questions about HTML5 or Windows 8 POS implementations just let me know. And printing barcode with that library is a peace of cake. Can I Install Roslyn in Windows XP? Using MARS or There is already an open DataReader associated with this Command which must be closed first. This is a very strange error that you can find sometimes when working with ADO.NET. method before calling it again (either on the same command or another command on the same connection). It requires a feature called MultipleActiveResultSets which is not available in all providers. For example SQL2000 does not support it, it was implemented starting from SQL2005. Also .NET 2.0 must be used. no matter if an exception happened they will be closed and disposed. If you are using SQL Server 2000, MARS is not available so you can create two different connection objects. If you were looking for HTML5 and CSS3 support, web standards update is a great choice.